Advantage Marine Repair, based in Zeeland, Michigan, is a Certified Mercruiser and Mercury Outboard service provider. 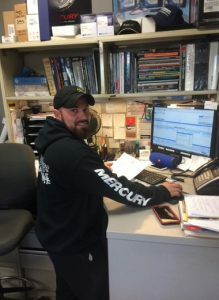 Multiple members of our team hold Mercruiser and Mercury certifications and will ensure you receive only the highest level of service and care. Our team provides parts, service, winterization, storage, and spring launch services. 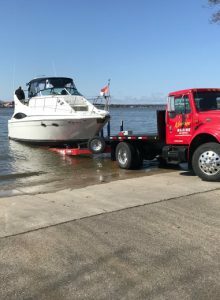 We focus 100% of our attention on service for inboard/outboards, outboard motors, personal watercraft, transmissions, propellers, custom rigging, navigation systems, plumbing, minor fiberglass repairs, custom LED lights, spring tune-ups, and much more. Our team provides a complete line of marine repair services for inboard / outboards and outboard motors. Oil & filter changes, stern drives, transmission repair, tune-ups, jet pumps, propeller repair, and much more. Our parts department is available to assist you in finding oil filters, engine oil, thermostats, bellows, bilge pumps, propellers, depth finders, water pump kits, and more. Call us at (616) 748-9235. We’ll ship parts if you need us to! Advantage Marine Repair provides indoor heated & cold storage as well as shrink wrapping options. Summer trailer storage is also available. Winterization detailing can also be scheduled. Quality Service at a fair price since 1996 Trust us for all your boat repair & service needs! 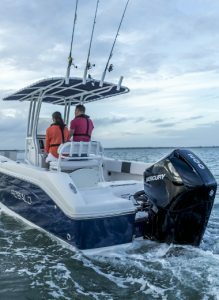 Advantage Marine Repair sells Mercury Outboard Engines and pre-owned Mercury Outboards as well. Call (616) 748-9235. We are also a Certified Mercruiser / Mercury repair center. Quality boat parts at an affordable price is our commitment to West Michigan. Our team can also assist with custom rigging, navigational GPS solutions, and cool LED lighting options. Great service, customer friendly, most importantly, they are experts when you have an issue with your boat. Very satisfied. Daryl went above and beyond in helping us out--he told us to come right in and had us fixed up in no time! Thank you! We won’t be going anywhere else! Friendly service, Experts at boat issues. I had a new boat and had steering problems. the place where I bought the boat could not find the problem . I tried for 2 years...I then took my boat to advantage. same problem. I received a call that same day saying they found the problem. Original shop had two years. Advantage had a fix in hours. thanks guys. These guys are the best. I boat in Chicago, after being fed up with mechanics on this side of the lake, I took my boat to Advantage Marine. I had to have major work done on my engines as they had just been replaced a couple years ago and weren't running right. Dave and Daryl called me with updates regularly and got the work done when they said they would. They went above and beyond my expectations and I would highly recommend them to anyone going forward! All other marinas were too busy... Called Rick and he made an amazing effort to get us back on the water just before guests arrived. Darryl, the mechanic, was so professional and knowledgeable. Stayed around extra to clean the boat before leaving. It takes alot to impress me, but being new to Holland this will be my boat company from here on!